J Arends Designs is an independent accessory label created by Jennifer Arends. 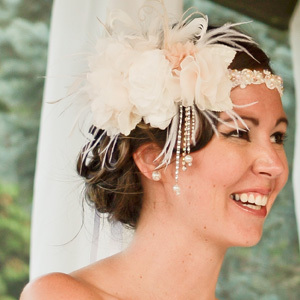 Born from the want of more unique pieces for her own wedding, Jen who is completely self taught embarked on a new journey to provide others with their own unique, sophisticated pieces for special occasions and weddings. J Arends Designs strives to create each piece with incredible attention to detail and incorporates vintage touches to ensure that no two pieces are exactly alike. J Arends Designs is located in Peterborough Ontario and will gladly ship items if needed. To view more unique bridal accessories and find out more click here.